I love hardwood floor in a kitchen. I know some people get concerned about ruining them due to all the cooking that takes place here. There’s really not a need to worry though. Hardwood flooring is durable with some care. Mostly we swept our floors. It’s a low-tech, quiet way to care for them. Wood is also warmer both visually and underfoot than tile and concrete. Wood offers natural beauty and an organic nature that has timeless appeal. It adds so much to a kitchen. 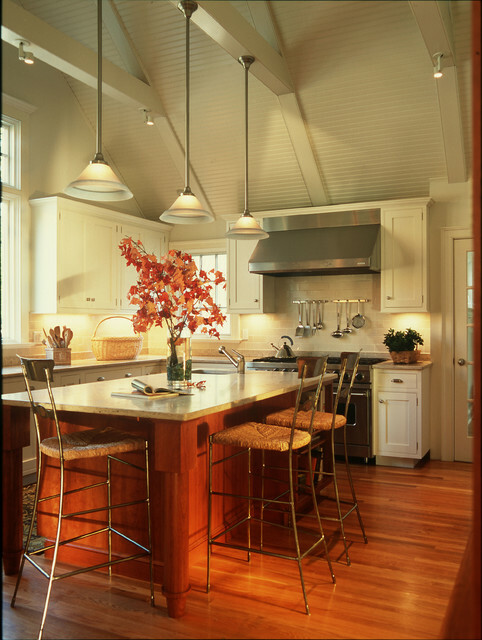 Have you been on the fence about putting wood flooring in your kitchen? Does this help you make up your mind? The homes I grew up in had wood floors in the kitchens. We had three dogs and numerous children in our house. My parents still prefer wood floors in their kitchen.